The CrosshairLabel class contains methods for configuring the label of the crosshair. Crosshair label is used in text and position settings, the coloring, interactivity states and other settings. Getter for adjust font settings. Object - Adjust font size. Setter for adjust font settings. Minimal and maximal font sizes can be configured using: anychart.core.ui.CrosshairLabel#minFontSize and anychart.core.ui.CrosshairLabel#maxFontSize. Note: Works only when anychart.core.ui.CrosshairLabel#width and anychart.core.ui.CrosshairLabel#height are set. Note: anychart.core.ui.CrosshairLabel#fontSize does not work when adjusting is enabled. If only one param is set, its value goes for another too. anychart.core.ui.CrosshairLabel - Self instance for method chaining. 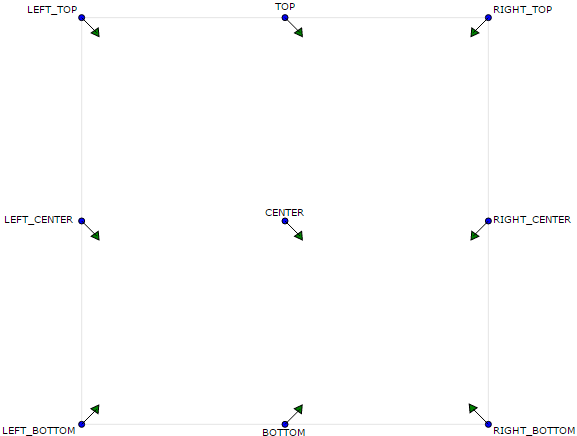 Getter for crosshair label anchor settings. Setter for the crosshair label anchor settings. Getter for crosshair label background settings. anychart.core.ui.Background - Returns background settings. Setter for crosshair label background settings. string - sets label background color. Getter for labels format function. function - Labels format function. Setter for the labels format. Setter for labels format using function. Learn more about using format() method. function function Function to format label text. Getter for the crosshair label height. Setter for the crosshair label height. Note: if null is passed, height is calculated automatically. Getter for the maximum font size for adjust text to. Setter for the maximum font size for adjust text to. Note: works only when adjusting is enabled. Look anychart.core.ui.CrosshairLabel#adjustFontSize. Getter for the minimum font size for adjust text from. Setter for the minimum font size for adjust text from. Getter for crosshair label offsetX settings. number | string - Label offsetX value. Setter for crosshair label offsetX settings. Getter for crosshair label offsetY settings. number | string - Label offsetY value. Setter for crosshair label offsetY settings. See illustration in anychart.core.ui.CrosshairLabel#offsetX. Getter for the crosshair label padding. Setter for crosshair label padding in pixels by one value. Setter for crosshair label padding in pixels. anychart.enums.SidePosition | string - Label position. Getter for the crosshair label width. Setter for the crosshair label width. Note: if null is passed, width is calculated automatically. Crosshair label width to set.